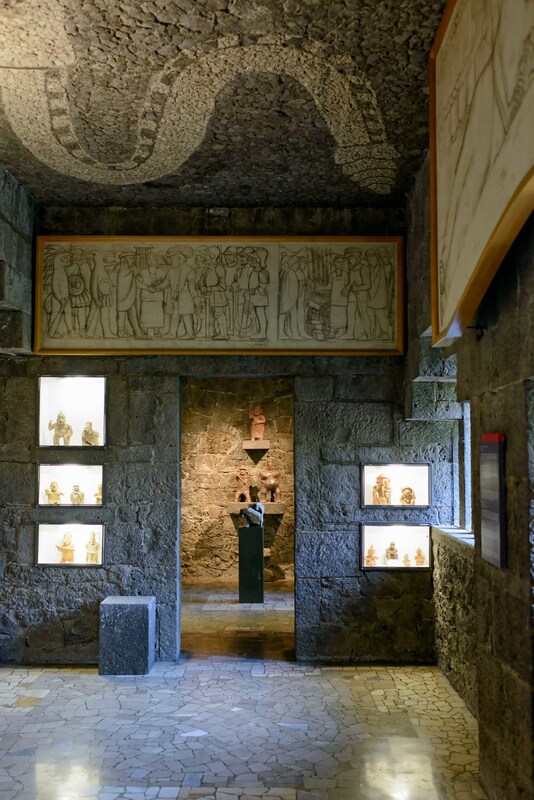 The Museo Diego Rivera Anahuacalli or simply Anahuacalli Museum is a museum located in Coyoacán, in the south of Mexico City. 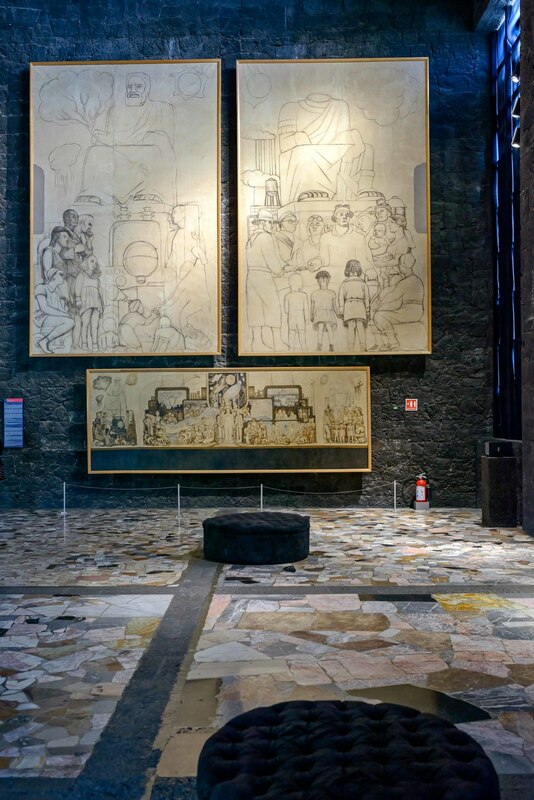 The unique museum was conceived and created by muralist Diego Rivera, who, motivated by his own interest in Mexican culture, collected near 60,000 pre-Hispanic pieces during his life and projected a building to place and exhibit them. 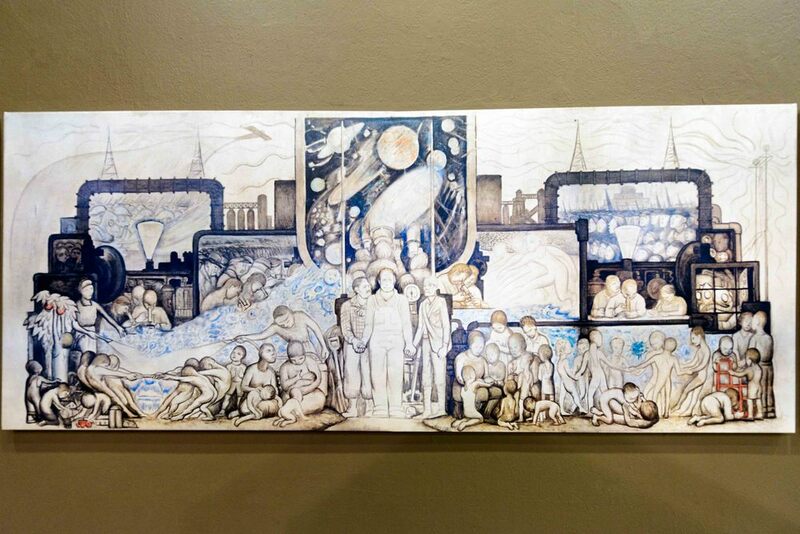 It was completed after his death by architects Juan O'Gorman and Heriberto Pagelson and Rivera's own daughter, Ruth. Built of black volcanic stone, it takes the form of a pyramid. 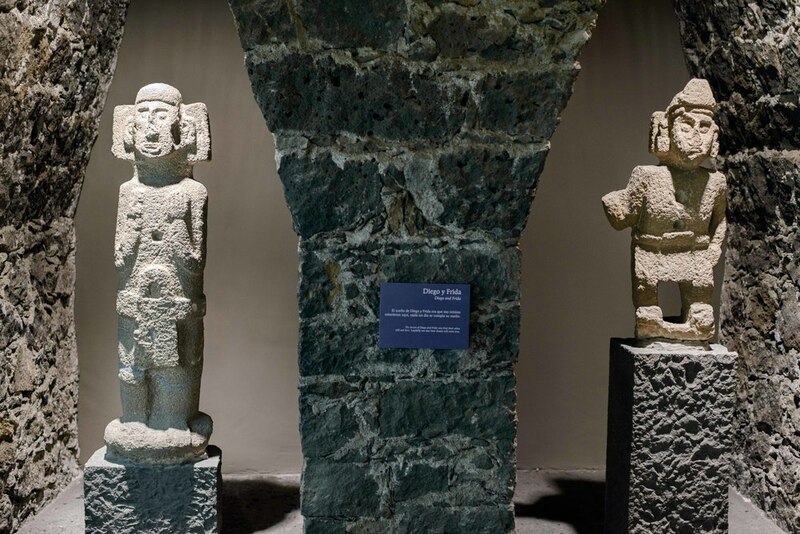 The museum articles are collected from almost every indigenous civilisation in Mexico's history. The word Anahuacalli literally means "house around of water" in Nahuatl. Front view of the Anahuacalli Museum in Mexico City. 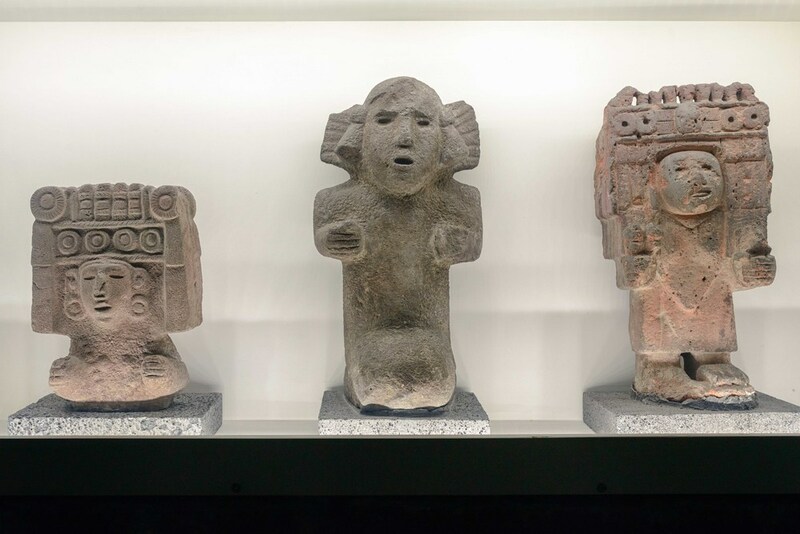 Sculpture at the Anahuacalli Museum in Mexico City. View with the staircase upward at the Anahuacalli Museum in Mexico City. Collections at Anahuacalli Museum in Mexico City. Diego and Frida, Anahuacalli Museum in Mexico City. 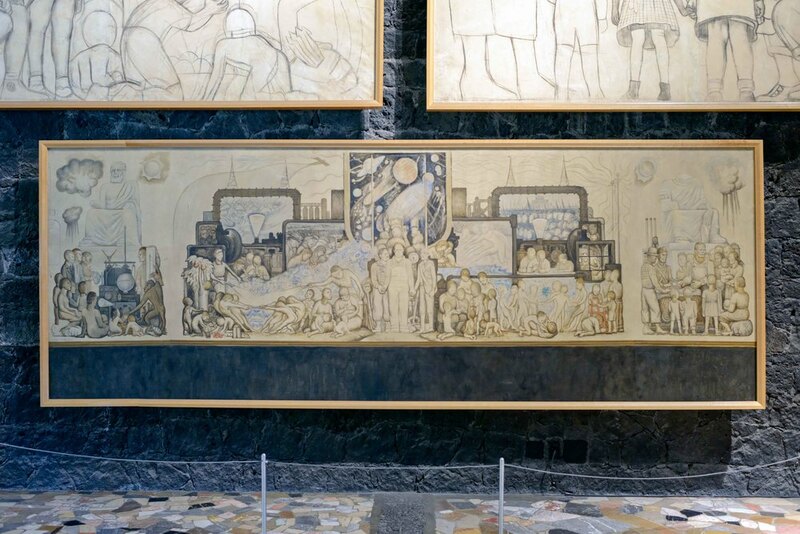 On the first floor is what Diego Rivera wanted to be his study, a space with lots of light, coming from a north-facing window. Anahuacalli Museum in Mexico City. 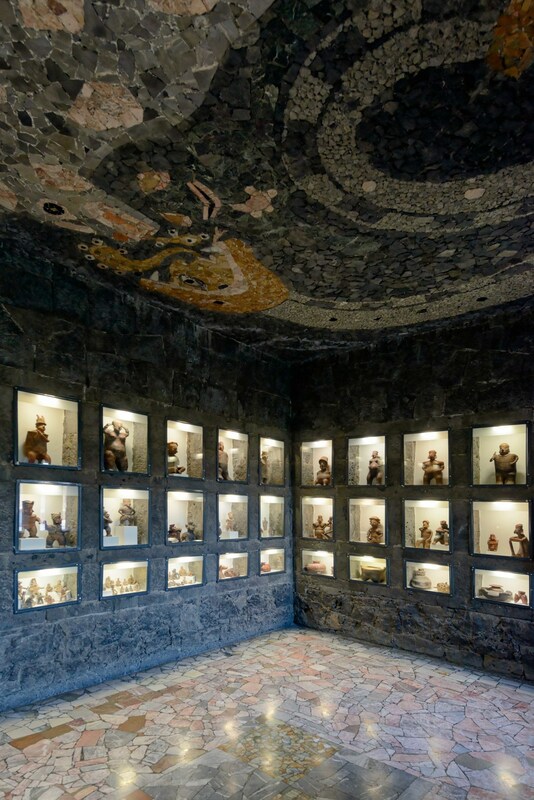 Study room at Anahuacalli Museum in Mexico City. Collection at Anahuacalli Museum in Mexico City. Cihuateteo (Dead Woman). In pre-Hispanic Mexico, women who died in childbirth were deified as warriors who offered life on the battlefield. 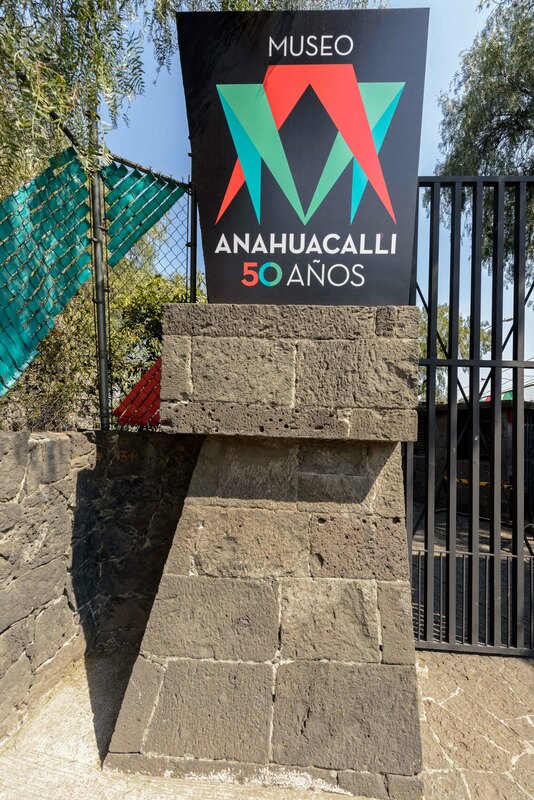 Anahuacalli Museum in Mexico City. 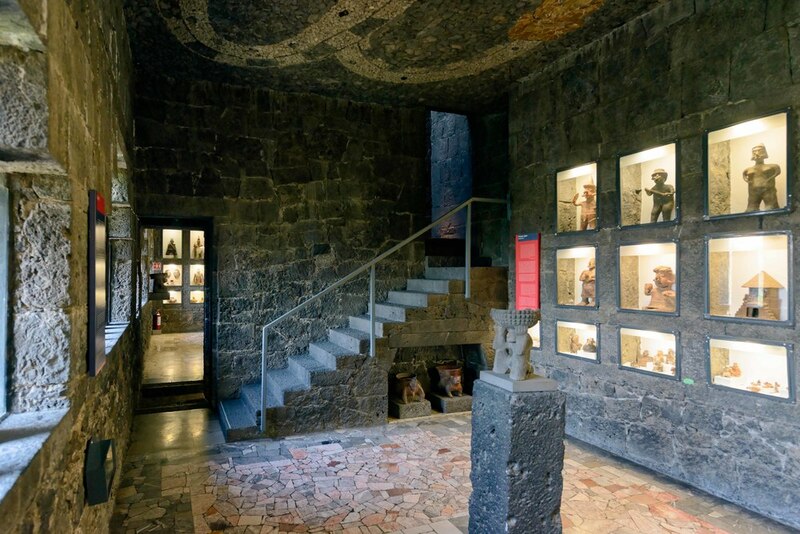 The staircase to terrace at Anahuacalli Museum in Mexico City. 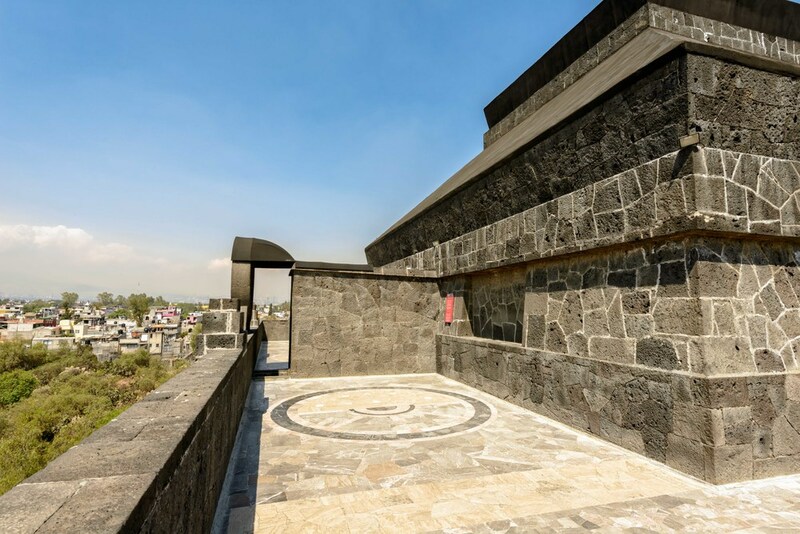 The terrace at Anahuacalli Museum in Mexico City. Inscription at the entrance to the Anahuacalli Museum in Mexico City. 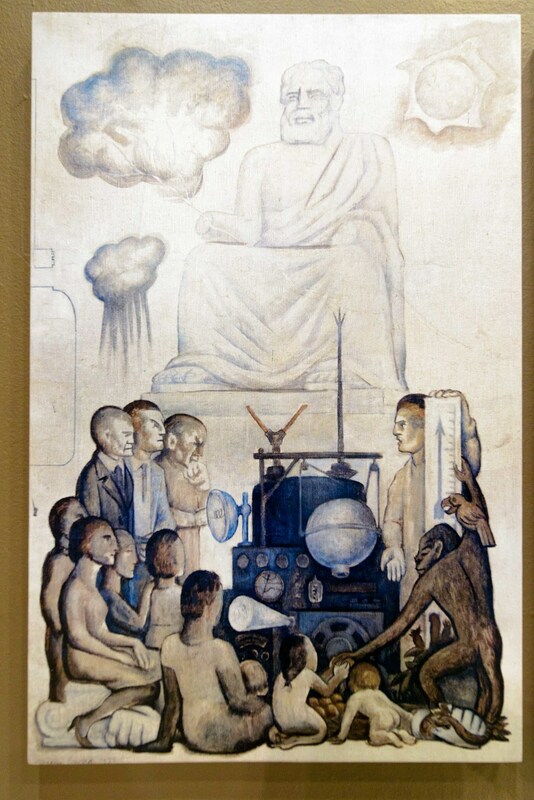 Exhibition "El hombre en la encrucijada" (Man at the Crossroads), Anahuacalli Museum, Mexico City. The fertile soil. 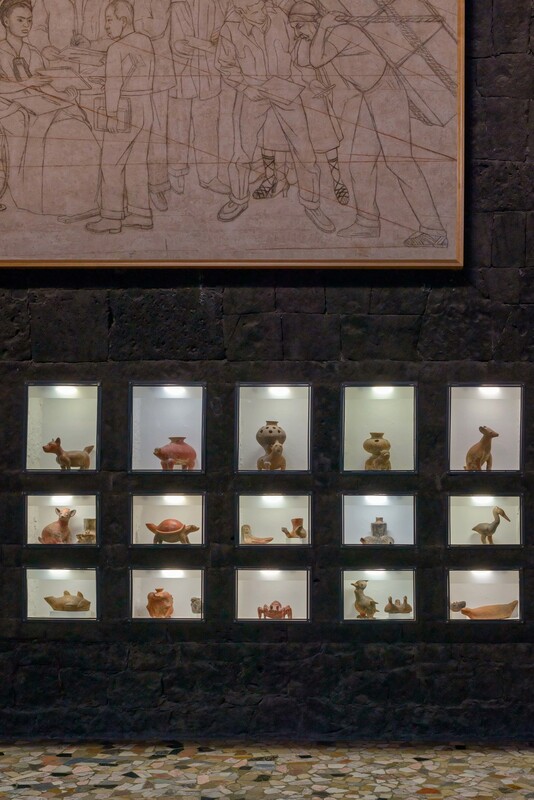 Exhibition "El hombre en la encrucijada" (Man at the Crossroads), Anahuacalli Museum, Mexico City.